As Chief Technology Officer, Scott Borduin is responsible for future-proofing Autodesk and our customers in a dynamic technology environment. Scott manages a diverse organization that includes advanced research, applied research, customer validation, research community engagement, and thought leadership. 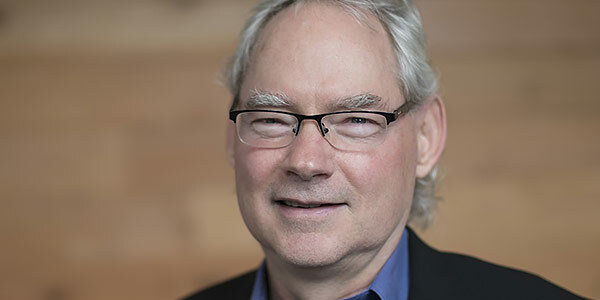 Scott’s organization provides strategic foresight to Autodesk and its customers across a broad range of emerging technologies, in areas such as Generative Design, Artificial Intelligence, Computational Geometry, advanced Simulation, IOT, Robotics, Material Science, Augmented Reality, and Human Computer interaction. These technologies are key to Autodesk’s mission of transforming our customers’ design to make processes. Scott has over 30 years’ experience in Computer Aided Design, Engineering, and Manufacturing. He came to Autodesk in 1993 with the acquisition of Woodbourne, Inc, which he co-founded. Scott was subsequently Senior Architect on the Inventor product, and then Autodesk CTO from 1999 to 2005. After spending six years in the non-profit sector, he came back to Autodesk in 2012 and held a number of senior technology strategy roles before returning to the CTO position in 2018. Scott holds bachelor’s and master’s degrees in Mechanical Engineering from the University of Michigan.